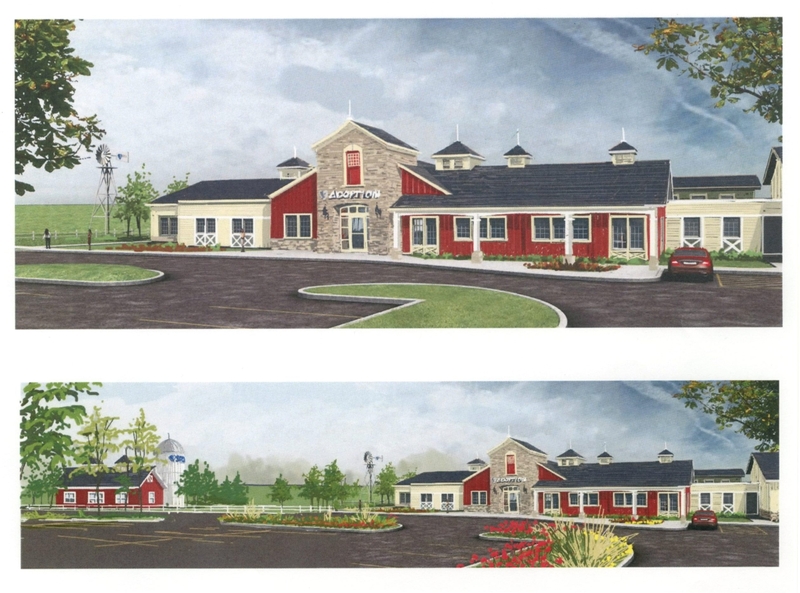 This is a drawing of the new shelter that the SPCA Serving Erie County hopes to build on Harlem Road in West Seneca. It seeks the public’s help to reach its goal of $8 million. The SPCA Serving Erie County is going public to raise the rest of the money it needs to build a new, larger shelter in a more centralized location. More than $6 million of the $8 million goal was raised during the private phase of the Raise the Roof capital campaign, according to SPCA officials. Construction is expected to start this summer and take between a year and 18 months to complete. The SPCA has been on Ensminger Road in the Town of Tonawanda since 1962. SPCA officials are looking at a site on Harlem Road in West Seneca, near the junction of Route 400 and the Thruway, that once housed an outdoor skate park. Other locations have been considered, but the 10-acre West Seneca property is the “front-runner,” officials said. “That’s the site we would like to purchase,” SPCA spokeswoman Gina Browning said Tuesday. Erie County had sold the land to the Town of West Seneca in 1969, and the town sold it to its current, private owner in 2001. Last summer, the Town Board asked the County Legislature to remove a deed restriction – that the property be used for municipal purposes – that inexplicably remained in place since the town sold the land. Additional information is available at www.YourSPCA.org/RaisetheRoof.